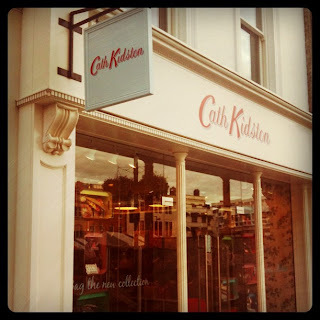 After popping into Cath Kidston last week for baby inspiration for my friend who is due to pop any day now (Come on JB… Hope he comes out soon : ) I got chatting to the lovely Harriet behind the counter who helpfully wrapped up my beautiful gift for me. 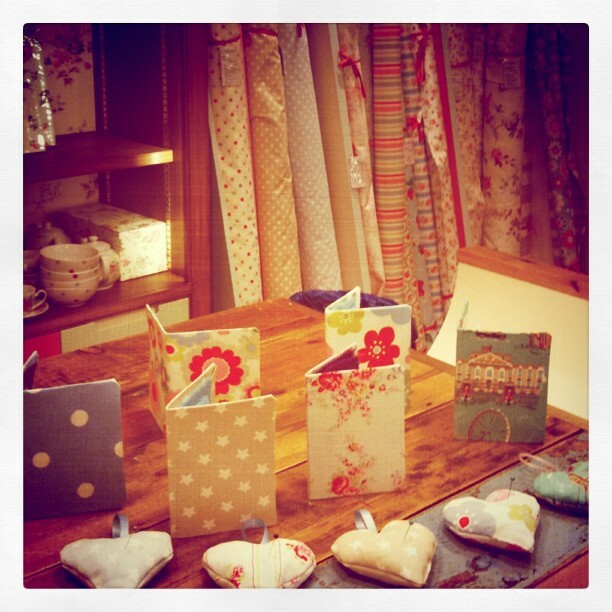 After discussing all things vintage and tea party related (Naturally!) she mentioned that there was due to be a real first for this new Cambridge store in the form of a Craft Club evening the following week. Now, the word “crafting” alone sends me into mild panic attacks – My fingers were not made to pick up a needle and thread let alone actually use it. However, in this instance it was too good an opportunity to turn down and strangely I found myself signing up and mentioning to Twitter friends, one of which joined me to take the very last place. 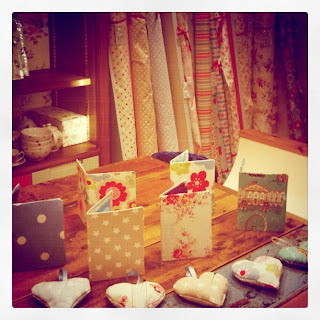 So Tuesday evening I headed down to the Market Square and joined 11 fellow crafters plus the lovely and very welcoming Cath Kidston team who talked us through our craft for the evening and joining the simpler craft of the two on offer, I was shown step by step how to make a pretty heart shaped pin cushion and a needle case to match. This was free to make with scraps from the material the girls had lying around, and the perfect starting point to get into crafting with. 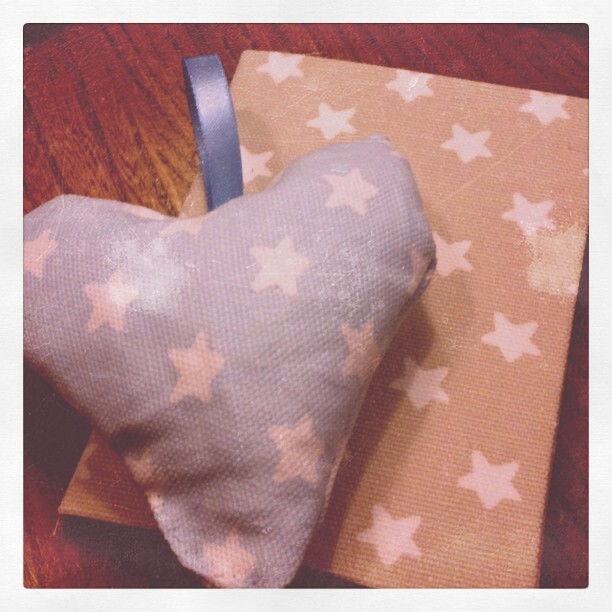 I actually really enjoyed it in the end and am very proud of my little heart cushion which I even managed to hand sew a loop onto to make into a hanging decoration. Who would have thought it, I was actually sewing for the VERY first time! The ladies on my table had actually both heard of my tea parties indirectly through different people, much to my amazement. I was more than chuffed to hear that word had gotten around and they both knew of me as soon as I said what I did… Such a great feeling indeed hehe. And in fact, the two other guests on my table knew of the same people too, such a small world but a great conversation starter. 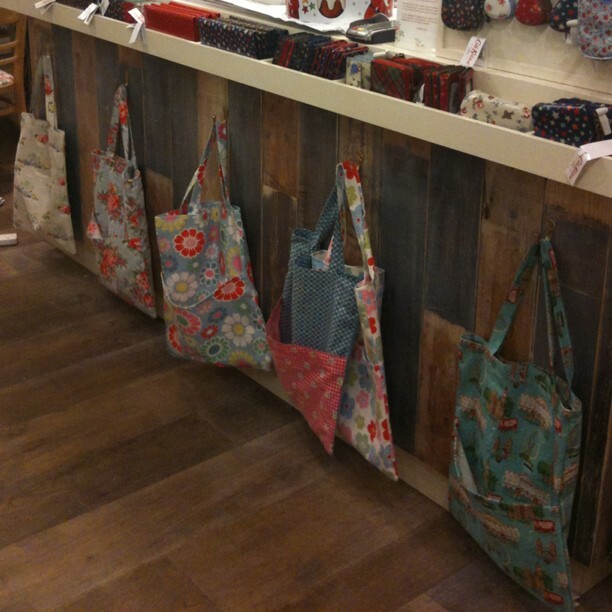 The more advanced crafters were sat on the other side of the shop with (for me, panic inducing) sewing machines to make a beautiful tote bag with their choice of material (All they had to do was pay for the material and they were coached through it with another member of staff) and they all looked fantastic. For 2 hours we took over the Cath Kidston store, made new friends, discussed all things vintage, drank tea, played with and had a good old nosey of the goodies in the shop and even ate cake (I made a Layer Cake with Apricot & Amaretto Preserve between layers of piped Buttercream) which went down very well with my fellow crafters. Needless to say, conversation led to the next monthly craft club and the team asked for our feedback on which crafts we might like to see. I know for one that I would very much like to come back and try a basic craft again. 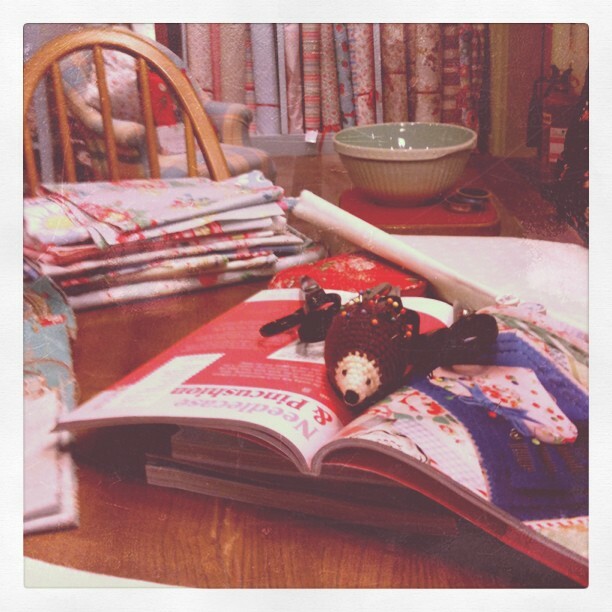 After being scared of the sewing element, it really wasn’t as bad as I thought and for a couple of hours I felt relaxed and really enjoyed the social element to the evening. Congratulations ladies, it was a huge success and you will have no problems filling those places for future events! 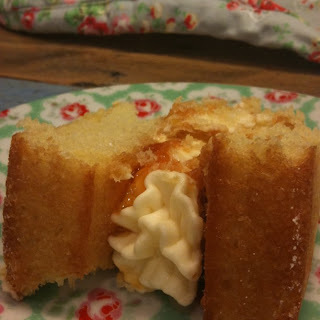 Count me in for the next one… Bunting or Napkins perhaps?… Something transferable to my tea parties would be fantastic… Perhaps flowers or cakes for the centre piece?…. I will bring more cake if you allow me back again hehe. Cath Kidston Ladies… You were brilliant and you have turned a scared crafter into a not so scared one! Hehe… You should be pleased, even my strictest of teachers could never get me to make anything crafty! And to everybody else… I suggest that you get on the mailing list, this is too much fun to pass! Thanks so much Jo, this is lovely feedback! so nice to hear you all had a great time, as did we! You will hear from us for the next one dont worry! 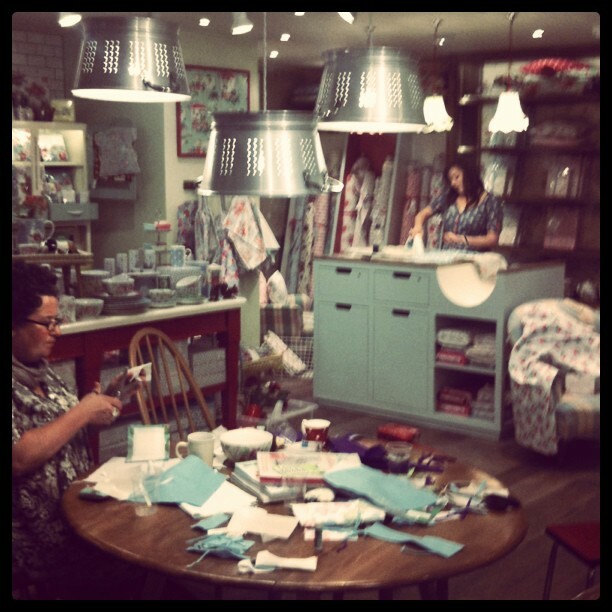 wow lovely to read this blog and to see myself sewing away….looking very focused!!!! sadly i couldn’t try your cake …however it was so beautiful – a real piece of art! where did you get your gorg red/white spotty lids/jars from…..the ones for sipping with a straw…..most beautiful. 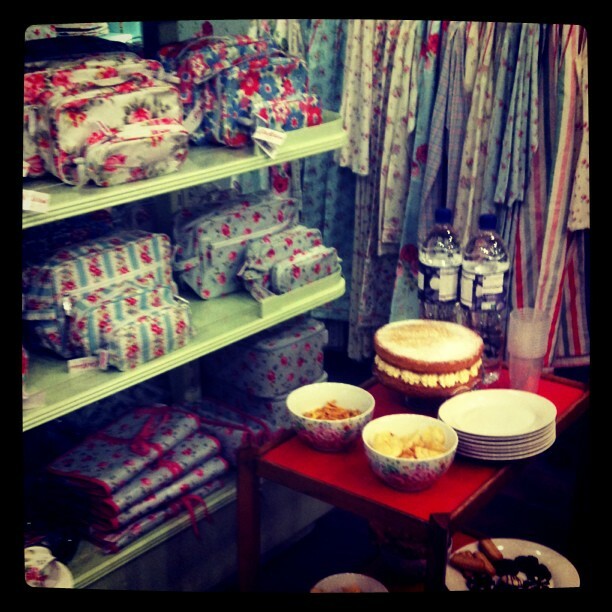 Cath Kidston Ladies- Thank you, Can’t wait to come again in the future!